(Aden) Almost perfect combination of foliage and fragrance. Apple-green, heart-shaped leaves with a wide, creamy-white margin. Flowers are large, light lavender and highly fragrant. 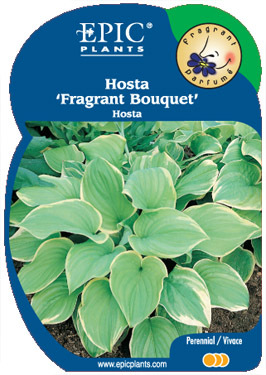 Hosta of the Year in 1998. Mature plant will reach over 60cm (24") in diameter.